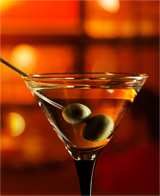 Detox rids the body of alcohol and/or drugs. Rehab builds new ways to manage the things in-which led to the abuse of alcohol and/or drugs. Both are needed. The EPIC Recovery Center program is three-tiered, offering detoxification, residential, and outpatient treatment services. We base our treatment plans on individual needs and accept patients who are at risk for physical withdrawal. Withdrawal is treated using medication in conjunction with individual and group therapy. Overcoming addiction can be an intensive and long endeavor. We will be there for you every step of the way in your journey, providing compassion, support and healing. Our philosophy is person-centered which means we put you at the center of your treatment and respect your freedom to make your own choices and choose your own direction. You’ve already done the hardest part: you’ve admitted you have an alcohol problem. Whether you or your loved one has been an alcoholic for years, suffers from binge drinking, or only recently started to show signs of alcoholism, now is the time to seek help. Can you imagine birthdays and holidays without the negative impact of alcohol? There is a world of happiness and an opportunity awaiting you and your family… but, to get there, you need to go through our alcohol treatment program. This is not an easy process, but we’ll be there with you every step of the way. 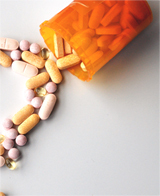 Drug addiction can take over one’s life quicker than is realized. When the unthinkable happens, we’re here for you. At our facility, you or your loved one with be monitored closely for symptoms of withdrawal and provided with the highest quality of care. Our facility with its caring and compassionate professionals provide timely assistance to help our clients leave drugs behind and resist relapse for addictions to: Heroin, Cocaine, Benzos, Meth, Designer drugs, Stimulants, Opiates and Other drugs. This includes prescription drugs like Oxy, Valium, Vicodin and Xanax. By blocking the euphoric effects of opioids or alcohol, this medication (paired with counseling) has proven to be an effective treatment to help with alcohol and opioid dependence. 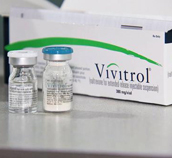 Because Vivitrol is a non-narcotic and opioid antagonist, which does not have any addictive properties, dependence on the medication does not occur. Vivitrol has a long-acting formula, which means it only has to be administered once a month. When used with counseling, it has shown to be effective for both the treatment of alcohol dependence and the prevention of relapse in opioid dependence following opioid detox. We recognize that addiction is both physical and psychological, and therefore want to be able to monitor the progress of each client during their treatments. Subscribe for up to date information about our programs as well as events through out the year.